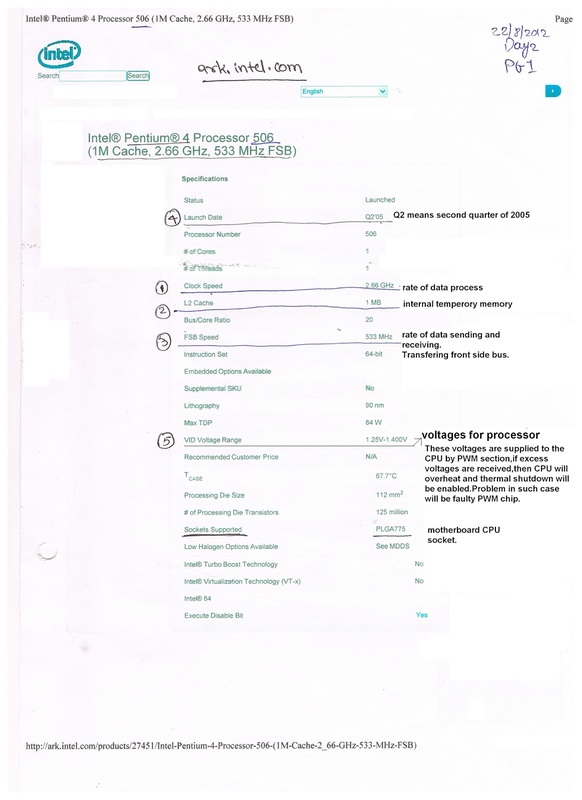 CPU processor details and its main aspects to be checked. We will take example of Intel CPU. Go to these intel website and insert the serial number mentioned on Processor. These will give you details. The most 5 important things that you need to check in CPU details are marked in the image with its details. The voltage required for the CPU to operate can be identified by its CPU details.These required voltages are called VID voltages. PWM chip supplies VID voltage to processor via a filter coil.